The air holes in my footwear imply that the shoes weren’t designed to be completely waterproof. Backpacks don’t offer limitless storage and shoes consume a lot of space. 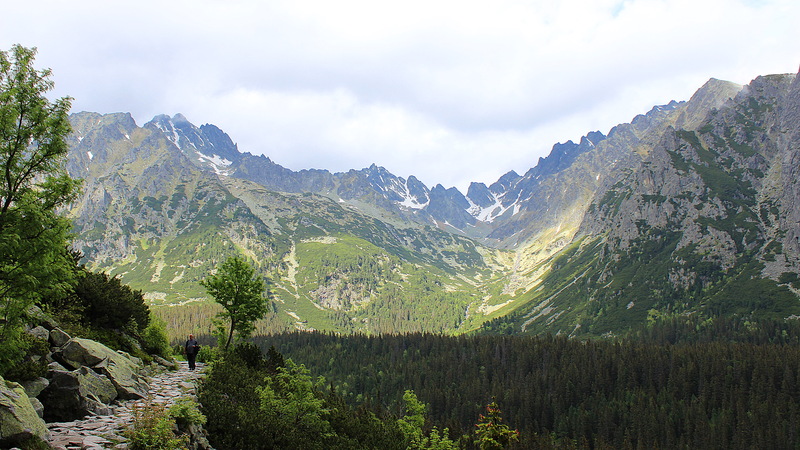 So, should you take hiking boots with you if you plan to hike a few times during your journey? 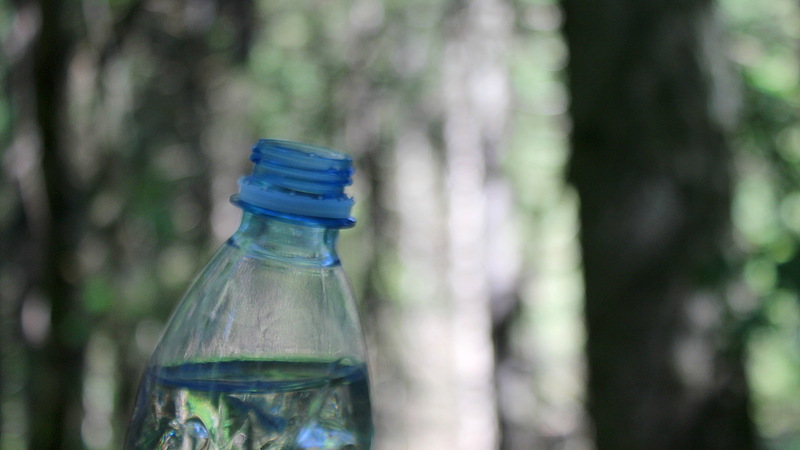 Many lists of hiking tips might suggest it, but I personally don’t believe it’s necessary. I’ve never owned hiking shoes, so I don’t really know what I’m missing. 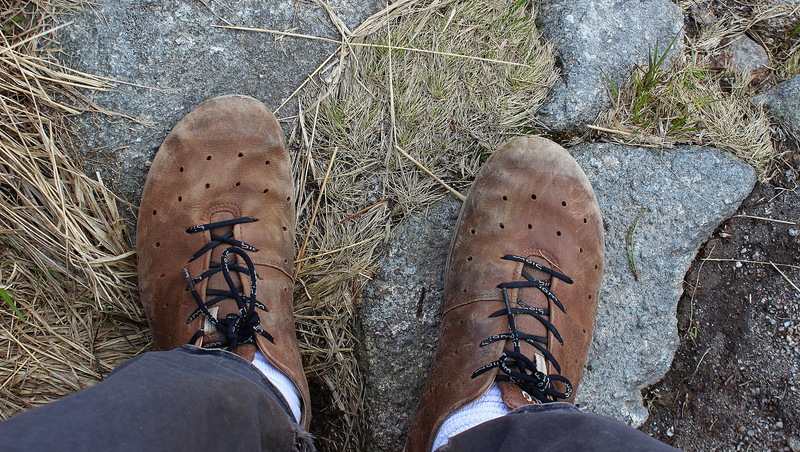 I’ve done some hiking in the past and I’ve always just walked with the same shoes I use everywhere. The lightweight Ecco Biom walking shoes that I’ve used in recent years even miss many of the features that sturdier hiking shoes offer: they don’t support the ankle, the soles don’t protect the feet from rugged ground and the possible water resistance is wearing out because I don’t really pay much attention to the maintenance of my shoes. High quality hiking shoes also tend to be very expensive. If I have to choose between new shoes or a flight ticket from Europe to Asia for the same price, my decision is very clear. I just recommend you get shoes that fit your feet as well as possible and are good for walking in different surfaces. The water resistance is also a big plus, but more on that next. 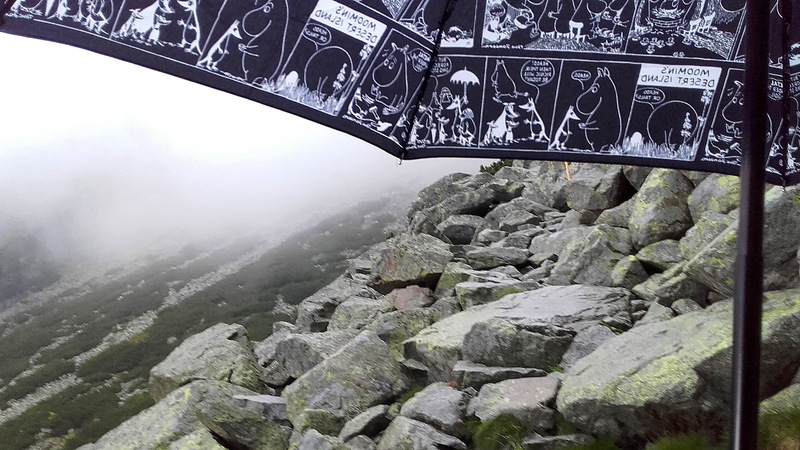 Adventures of the Moomin umbrella. Picking the right clothes for the hike can be a challenge. You don’t want to carry too much extra weight, so try to estimate what you’ll need. This can be quite difficult if you start hiking early in the morning or your destination differs a lot from your starting point. The heat of the day can come as a surprise and open, windy mountains tend to be colder than the villages down below. Also, you’ll quickly notice that your body produces a lot of heat when you progress, so you’ll start sweating even in the cooler environments once you get going. Thus, I recommend that you wear layers that you can easily dress and undress. A light jacket with a zipper is a much better choice than a hoodie that’s much more troublesome to take off. The experts wear thin an breathable sportswear under the other clothes, but those not completely necessary for day hikes. You should also brace yourself for the weather conditions. Apply plenty of sun lotion before leaving and if you’re not hiking on a dry place with no chance of rain, I recommend that you prepare to get wet. A light umbrella is better than nothing, but it won’t solve everything if the wind turns the downpour into a horizontal shower. Trust me, I know. This stuff. Lots of it. When you hike, you consume more energy than usual. You should take this into account. Pack small, nutritious provisions that you can during the day and drink plenty of water. 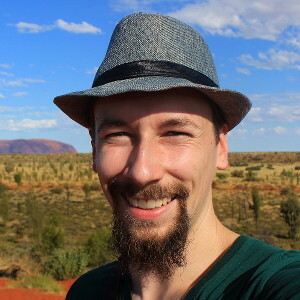 To know how much water to take in, I recommend the simple “pee test” taught to us in the Finnish Military Service: if your pee is yellow and not colourless, you should drink more. (Checking this might be easier for men than women.) You body also cannot utilize too much water at once, so don’t drink much more than two deciliters of water in fifteen minutes. The sense of thirst is also a warning sign that you should drink more, but you shouldn’t wait for it. Thirst means that you’re already suffering from a slight dehydration, so it would be better to avoid that feeling altogether. * The above claims about dehydration come from my military service. The trainers didn’t really support critical thinking or prove their statements with thorough evidence. Thus, I have no idea if they’re actually true or not. 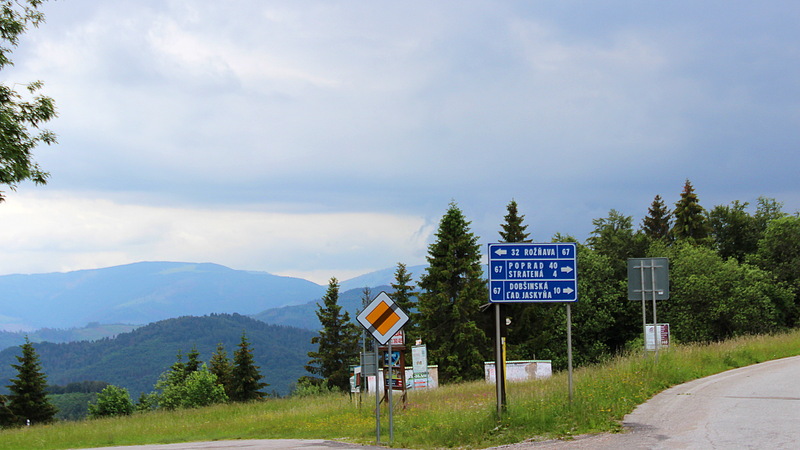 Waiting for a bus out of the Slovak Paradise National Park. Especially if you’re not an experienced hiker, it’s important to plan your day hike carefully. Check how long your hike should take and make sure you have enough time to do it. Don’t try to grasp too much at once and remember to leave time for breaks. If you’re hiking further away from your accommodation, it’s also important to investigate how you can get back to your lodging once the day is over. You don’t want to return to the civilization from your tiresome hike and realize that your last bus has already left, do you? 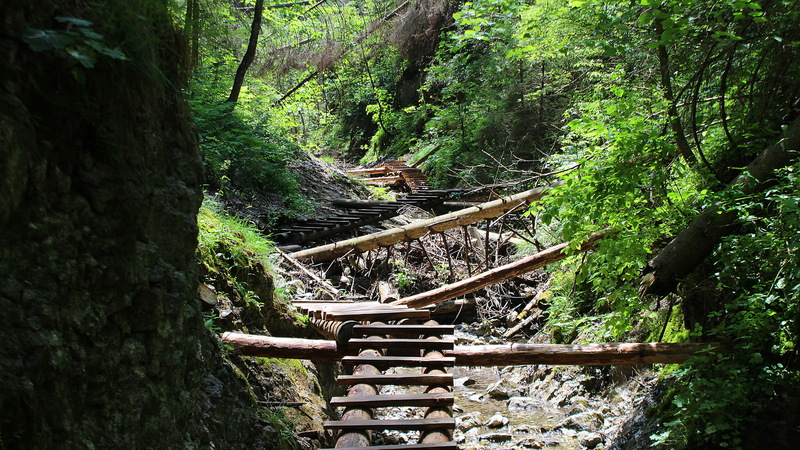 Not all hiking trails are the same. No guides or hiking tips can ever replace the best teacher there is: experience. Even if you feel like you’re an amateur with plenty of unanswered questions about hiking, you can find the answers most easily on the trail. If possible, make lots of observations during your first day of hiking. Did you have enough food? Was your clothing appropriate? Are the paths too difficult for your condition? Learn from the experience as much as you can and change your plans accordingly. If possible, don’t make your first day too ambitious. You can also day hike with other, more experienced people for the first day to gain confidence. If that’s not possible, you shouldn’t worry about it too much. After all, hiking is just walking in nature. If you can walk, you can also hike, right?